Photos by JIM RYDBOM / jrydbom@greeleytribune.comA group of cattle stare curiously as they wait to be fed while at the Miller Feedlot near La Salle. U.S. beef packing companies are suffering the largest losses in 21/2 years, and the losses could cause beef companies like industry leader JBS USA in Greeley to cut back on the number of cattle they slaughter - which could eventually lead to higher retail beef prices. The trickle down from this year’s historic drought across portions of the southern United States – along with other factors – lingers on for the beef industry and is likely to catch up with consumers. JBS USA in Greeley and other beef companies are expected to cut back on the number of cattle they slaughter, which could eventually lead to higher retail beef prices, industry experts say. The reduction in slaughter numbers stems from the drought that scorched Texas, New Mexico, Oklahoma, southeastern Colorado and other areas this year and from the high feed costs that caused farmers and ranchers to sell portions of their herds early. 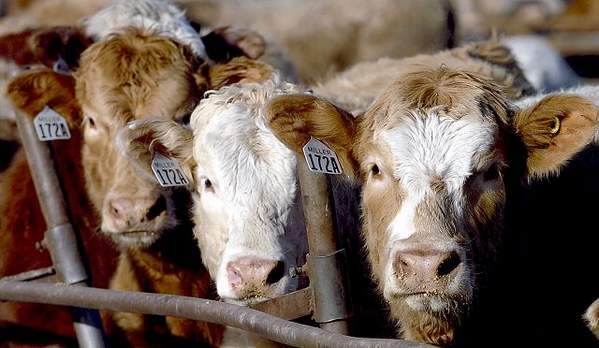 Those conditions have now reduced the number of cattle available for slaughter, causing packing plants to pay higher prices for cattle and to operate inefficiently, according to Bill Rupp, head of beef at JBS USA in Greeley. “The result of that inefficiency is packer losses and higher beef prices to consumers,” he said. Last week, U.S. beef packing companies were suffering average losses of $54.99 per head of cattle, nearly five times what losses were toward the end of September, according to HedgersEdge.com, a Denver-based livestock analytic firm. Only about two months ago – on Aug. 25 – packers were reaping a profit of as high as $69.35. Beef packer margins had tumbled to an estimated loss of $56.20 per head of cattle on Oct. 6, which analysts with HedgersEdge said at that point was the largest loss since April 7, 2009. Meanwhile, the number of cattle slaughtered in the U.S. dropped to 650,000 according to reports Friday, down 27,000 from where numbers were at the end of September. The local JBS plant currently slaughters about 5,400 per day. Rupp said he doesn’t anticipate that current conditions in the beef industry will affect jobs at the Greeley plant, where approximately 3,400 people are employed. Rupp and Andrew Gottschalk with HedgersEdge said the percentage of reduction in cattle supply will differ from region to region, depending on weather, corn prices, herd liquidation and other factors, both noting there will be greater pressure on supplies in Texas, due to the drought and the freight cost for feeders, corn, silage and other expenses. Gottschalk said numbers show that consumers would need to pay about 8 percent more for retail beef to make up for the so-far added costs for beef packers. This summer, beef companies were paying $1.10 per pound for fed cattle and are now paying around $1.20. According to Stephen Koontz, an agriculture economist with Colorado State University, fed cattle prices are expected to reach $1.40 per pound by the end of the year, meaning prices will continue to increase for consumers. “The beef industry is looking to get a lot tighter all around,” Koontz said. “Conditions indicate that it will stay that way for a while. While persistent drought this year in the southwestern U.S. withered pastures and forced more cattle in feedlots early, leaving behind a smaller supply, a spike in corn prices dating back to 2008 – when a bushel of corn was about $7 – had already contributed to a smaller cattle supply by discouraging producers from expanding herds. 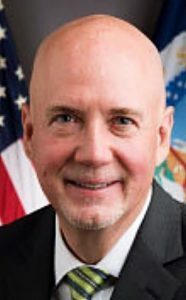 To go along with that decrease in supply, Koontz noted that the U.S. increasing its beef exports in recent years and expecting further increases in the future will contribute to a lower supply of beef for American consumers and higher prices.